Tip $25 and get A signed copy of my Murphy Method Banjo Instruction DVD "Start With The Melody"
It was great. I'd do it again. Ned's the man! Nedski showed me some great licks, trucks and answered my questions. I loved it! Signed copy of my CD "Nedski"
A signed copy of my Murphy Method Banjo Instruction DVD "Start With The Melody"
A 25-year professional who’s noted for his dazzling technique, originality and broad sense of humor, Ned Luberecki has served for over a decade with Chris Jones & The Night Drivers. His resume includes stints with Paul Adkins & The Borderline Band; Gary Ferguson; Radio Flyer and the Rarely Herd, frequent winners of SPBGMA’s Entertaining Band Of The Year award. 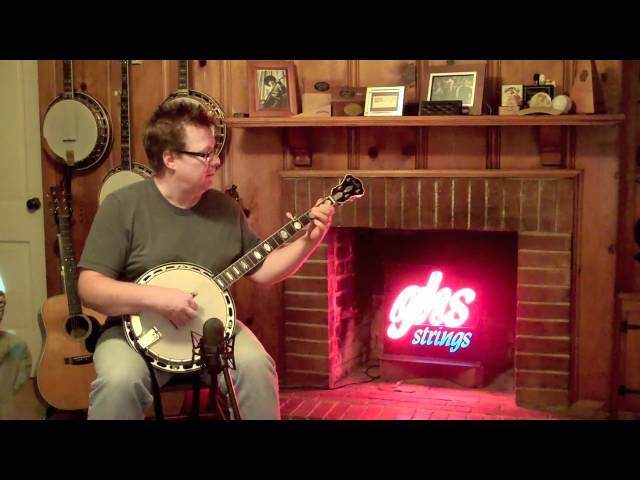 He’s a popular banjo instructor at some of the most renowned instructional camps in the US, Canada and Europe as well as private lessons at his studio in Nashville and online via webcam. Ned is also a broadcaster on SiriusXM’s Bluegrass Junction, where he hosts the regular newgrass show, Derailed, and the popular Sunday Banjo Lesson. Since joining The Night Drivers, Ned has continued to make a name for himself as a guest on a variety of recordings and appearances, including tours with Larry Cordle & Lonesome Standard Time and as the “other” banjo player with Tony Trischka’s Double Banjo Bluegrass Spectacular. In 2007, he released a popular solo project, Nedski, which included duets with friends like The Infamous Stringdusters’ Chris Pandolfi and Punch Brothers’ Noam Pikelny, along with comic favorites like “Cabin Of Death.” In 2010, he teamed up with the Sam Bush Band’s Stephen Mougin as Nedski & Mojo, releasing an acclaimed project Nothing More.